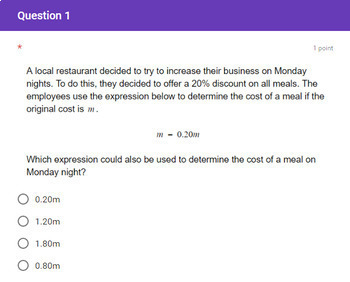 - This set contains 5 pages of test prep practice. 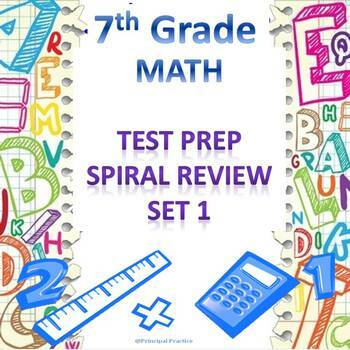 Each Spiral Review includes questions from NS, EE, RP, SP, and G common core standards. - All questions are written in test format with the first four days including multiple choice, multiple select, "enter your answer" questions for excellent test prep. - Note that Spiral Review 5 includes similar questions to some found on Spiral Reviews 1-4. It may be used as an end of the week assessment or more review. NOTE: There is a link for a Google Forms Assessment of the Spiral Review 5 which is set for self-grading. Spiral Review 5 can be given on paper or online. 7th Grade Math Quick Checks Bundle of Paper Assessments . These are specifically aligned to each 7th grade topic in a standardized test format for year long preparation or final review. Each topic can be purchased individually. 7th Grade Google Forms Assessments. These are mostly self-grading assessments on each topic for the entire year of 7th grade. NOTE: These are the same as the paper assessments but in Google Forms Assessment format and can also be purchased individually.